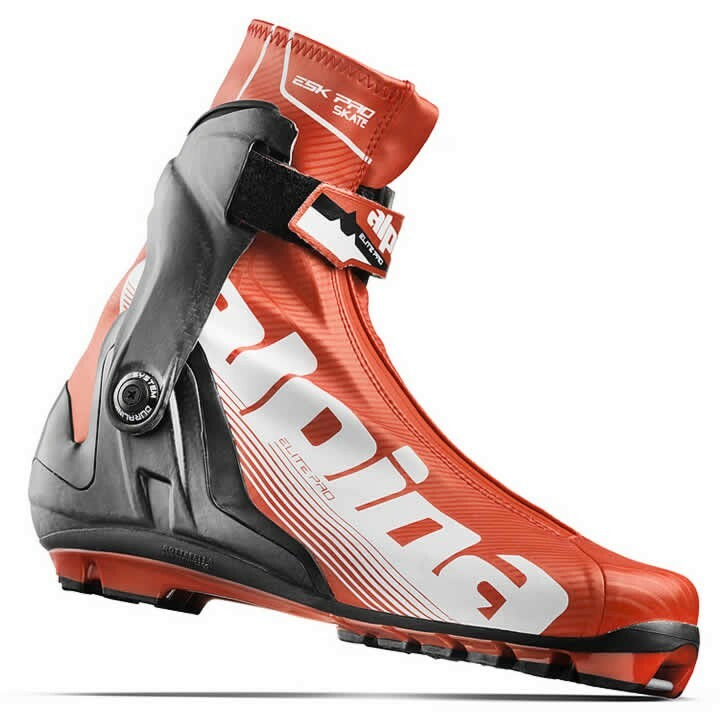 The Alpina ESK Pro Skate Boot was designed for elite nordic skiers seeking world class performance. Featuring an updated carbon and TPU heel counter for additional stability as well as a stiff flex and Xcelerator sole for the most efficient power transfer, the ESK Pro is sure to enhance your skate skiing experience. Carbon: A light anatomic carbon cuff delivering exceptional stiffness, lateral stability and responsiveness. Equipped with a power strap for optimal ankle fit, superior comfort, and adjustable ankle fit. Gaiter: One piece seamless gaiters cover the shoe and lower leg completely. Gaiters are water-tight, with a water-tight zipper and elastic, and protect against snow. Carbon + TPU Heel Counter: Carbon stabilizer provides torsional and heel counter stability inside and out; in combination with TPU adapts to various types of heel shape. All combine to deliver excellent grip and foothold.